Do y'all read Kelly's Korner blog? I was catching up on some blog-reading and came across this picture on her blog. The quote is from Jen Hatmaker, a church planter's wife who lives in Austin, from her devotional book Out of the Spin Cycle. 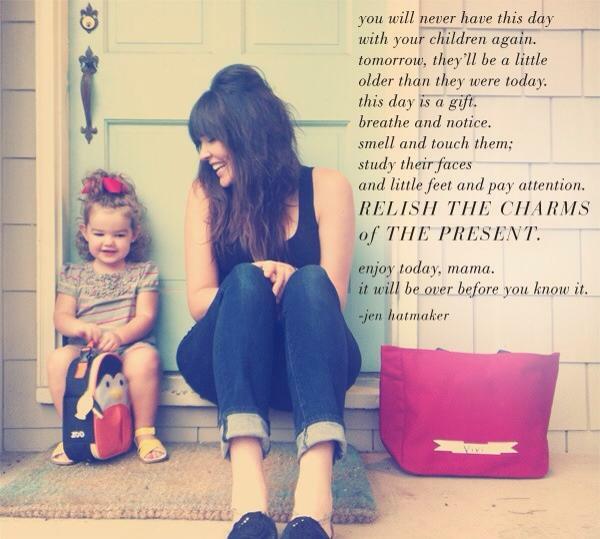 As the momma of 2 sweet little kiddos (Grayson is 5 and Mollie Kate is 4 months), this TOTALLY spoke to me. There are a lot of days that we make it to the very end of the day, when the house is totally quiet, and I think "Another day of their little lives has passed." The days with preschoolers sometimes seem SO LONG, but the years go by so quickly. My husband even reminded me at breakfast this morning that Grayson is 1/4 of the way to 20 years old. Goodness gracious. I love the photo above, but I wanted one that I could put in our house - maybe on the fridge? Or above the kitchen sink? 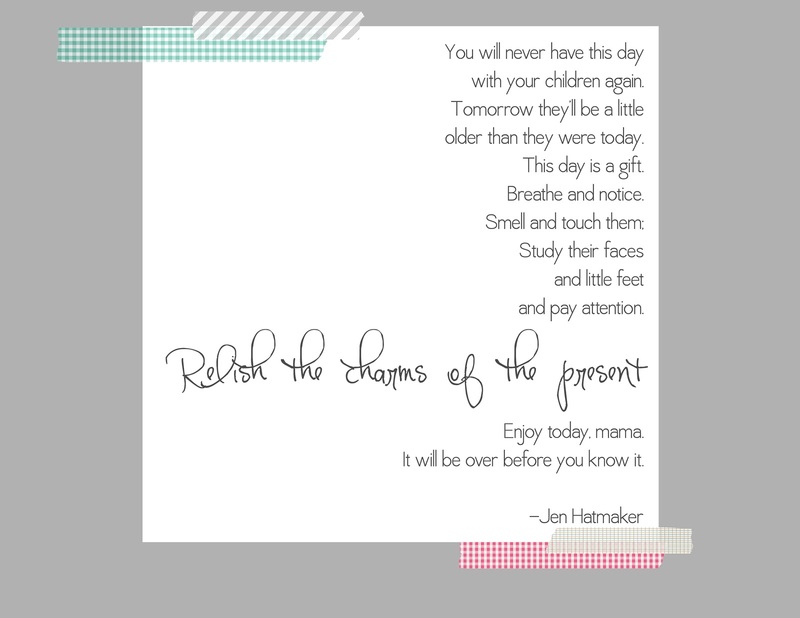 So I created this little printable below. Feel free to download it, Pin it, share it! I thank God for our sweet little kiddos every day and am going to be making the choice to relish the charms of the present! Have a wonderful week! How do you download the Mom printable? Also, can you make one that says grandchildren?